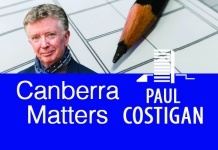 WHAT does the ACT government do when it is obvious that it has lost the trust of its residents? Simple – double down and do something even more outrageous. On Thursday, September 7, two ACT government ministers, Mick Gentleman and Rachel Stephen-Smith, published “alternate facts” about what residents are saying should happen on the Dickson Parklands site (Section 72). 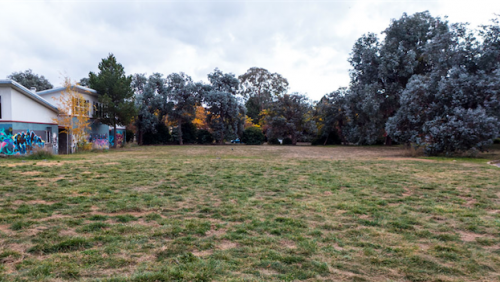 Their media statement is simply insulting spin attempting to justify the bulldozing much of the community parklands site to make way for some social housing and a load of residential apartments – with heights indicative – that is, yet to be determined. Residents see the Dickson Parkland’s availability, a community site, as the last chance for cultural and arts facilities for the growing number of residents across the inner north. They also do not want to lose any more trees. Enough is enough! Where are the Greens on this? Surely not silent again? While people have been clear about the need for more social housing in and around Dickson, locals have said repeatedly, but not on the Dickson Parklands site. As for using a community site for apartment towers – you’re kidding! Despite residents’ views being documented for years, the ministers’ statement makes it clear that the residents’ aspirations for this important site are to be ignored. Unfortunately in Canberra we have politicians who encourage planning bureaucrats to bend the truth, publish alternative facts and use insulting spin to hide deceptive practices. Is this a definition of telling lies? Is this how a democracy works? Do they tell their loved-ones about their use of deceptions and questionable practices to cheat residents of the character of their cherished suburbs? In the lead up to the 2016 ACT elections, planning and development issues were hot topics. So hot that Chief Minister Andrew Barr acknowledged this was a problem (something he rarely does) and committed to fixing things. Some deck chairs moved slightly, new expensive CEO’s appointed, new agencies created, and then the planning bureaucracy carried on as if nothing was wrong. To add to the insults, the planning chief even made a series of statements about how planning processes were to be improved and that he was focused on the community. Nice words – but yet again nothing changed. The community around Dickson is being offered even more workshops and is being asked to go online and have “your say” – again. To what end? One can only imagine that this latest “engagement” stage will be as fruitful as all the previous. Residents will to be ignored and misrepresented. The decisions on the Dickson Parklands, along with the ridiculous application of zoning in Campbell (destroying the urban forests and biodiversity), the proposal to bulldoze West Basin to build an apartment suburb (further ruining Civic and the lake’s heritage values), and monstrous proposals elsewhere across Canberra, all point to that someone’s election commitment to change was a joke played on the electorate. Was it another big lie? 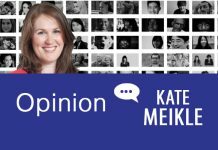 The goings-on around this inappropriate and unpopular Dickson Parklands proposal are similar to what is happening in many suburbs. The government continues to make development decisions with no respect for residents and no willingness to represent the voices within their own electorates. Bureaucrats are dispatched to override the residents’ voices who mostly remain polite in the face of this onslaught. The ACT government has learnt that by using such brutal tactics that it can get away with delivering horrible proposals time and time again. If the government was honest and trustworthy, it would be consulting in a determined manner to see its planning bureaucrats treat residents with respect and intelligence. This is not happening. Are there no politicians or potential independent politicians willing to take a public stand against the new disastrous proposals for Dickson Parklands, willing to actually represent the people who elect them and to call a halt to the many atrocious things being done to our bush capital? 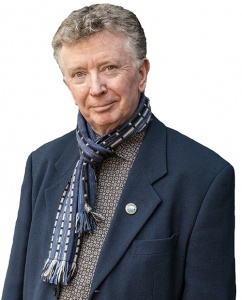 Paul Costigan, Dickson resident, is an independent commentator and consultant on the visual arts, photography, urban design, environmental issues and everyday matters. Next articleMoore / Work hard, lose the next election!